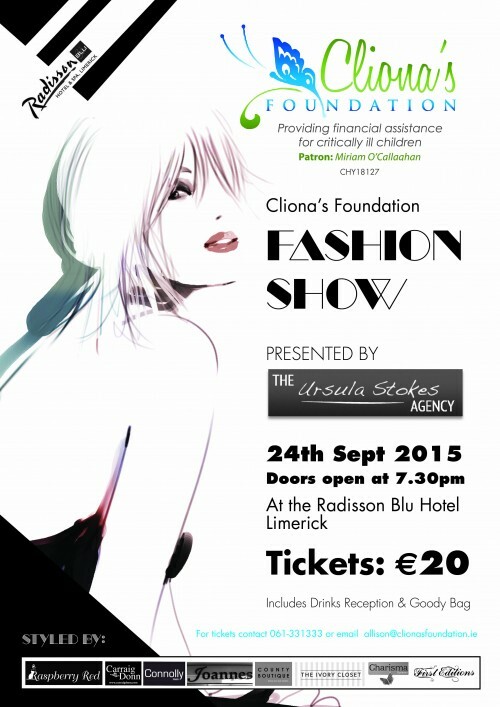 The Cliona’s Foundation fashion event will be held at the newly refurbished Radisson Blu Hotel and Spa on the 24th September. We are extremely excited to hold our first Fashion Show and are delighted to have the experience and knowledge of Limerick lady Ursula Stokes and her models. The event will include a drinks reception, goodie bags, exhibitors and raffle- the perfect ladies night out! That’s not to mention the actual fashion show itself – showcasing the best fashions in the area. 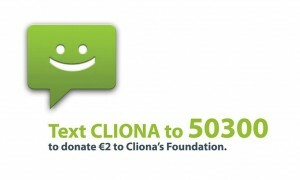 Tickets are €20pp – contact [email protected] or phone 061-331333 to purchase.